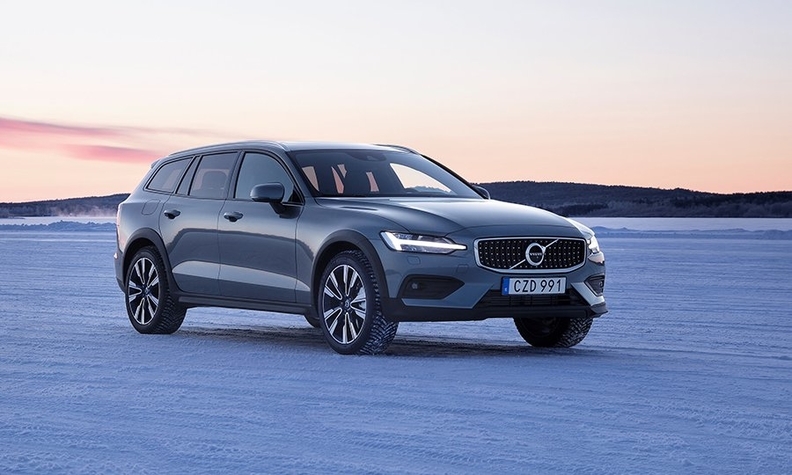 LULEÅ, Sweden -- Volvo purposely blurs the line between a station wagon and SUV with the V60 Cross Country because that is what has made the niche model popular with a loyal group of buyers, who are expected to continue to account for one-fourth to one-third of overall sales for the V60 range. Volvo says these customers have historically preferred to stand apart from those people who purchase the Swedish automaker’s better-selling V60, a classic wagon, and XC60, a traditional SUV. That is because Volvo says its research shows V60 Cross Country buyers want the practicality and space of a wagon with the go-anywhere credentials of an SUV, said Agneta Jildén, who is Volvo’s commercial project manager for all 60-series models except the XC60. One way that Volvo immediately distinguishes the models is via ground clearance. The V60 Cross Country is 210mm off the ground compared with 142mm for the V60 and 216mm for the XC60. 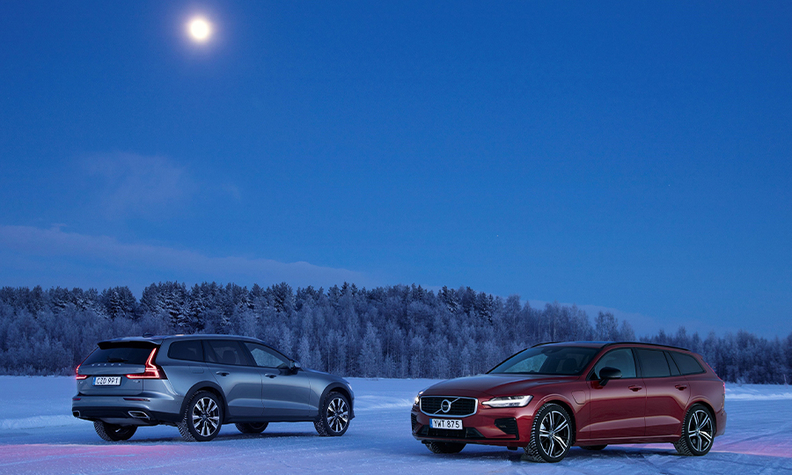 During a presentation of the car here in the ice- and snow-covered northern part of Volvo’s home market, Jildén told Automotive News Europe that the people who pick the V60 Cross Country are usually self-employed professionals who cherish their time outdoors doing things such as mountain biking, rock climbing, kayaking, or skiing. Jildén said V60 Cross Country customers appreciate that the car can be driven to work all week but still has the credentials to handle rugged terrains, such as a frozen lake or roads blanketed with snow, and brutal conditions such as temperatures as low as -27 Celsius, as was the case during testing of the vehicle by journalists last week. Robert Lilja, a project leader within Volvo’s vehicle propulsion controls team, said that the V60 Cross County can handle rough roads and difficult weather because along with its all-wheel drive it has a number of other standard features that are only in the XC60. One is the addition of the Off-Road driving mode to a selection of options that includes Comfort, Dynamic and Eco. Off-Road can be used at speeds up to 40 kph. In this mode, the car senses when it might get stuck, especially if the driver accelerates very rapidly to get out of a difficult situation. Instead of spinning its wheels, the car is programed to automatically provide the right amount of power and torque to get out of a tough spot. Target markets: The V60 Cross Country is a strong seller with buyers in the suburbs of the Nordic countries and the northeastern United States. Pioneer: Volvo considers itself as the creator of the wagon/SUV market niche with the first model being the Volvo V70 XC Cross Country that debuted at the 1997 Frankfurt auto show and went on sale in Europe and the U.S. in 1998. The car's name was changed to XC70 following the introduction of the first-generation XC90. Retention rate: Volvo says that 30 percent of the people who buy a V60/V60 Cross Country remain with the model. Volvo doesn’t have specific customer loyalty figures for the V60 CC alone. Powertrains: The V60 Cross Country offers a choice of two four-cylinder diesels. The D3 provides 148 hp while the D4 has 201 hp. The lone gasoline variant, the four-cylinder T5, provides 247 hp. All models are all-wheel drive. As is the case with the larger V90 Cross Country, no plug-in hybrid variant will be offered. Another standard feature in the V60 Cross Country is Hill Descent Control, which allows the driver to set the speed, up to 30 kph, to have a controlled drive down very steep drops. Last year Volvo sold a combined 34,219 units of the first-generation V60 and V60 Cross Country, with 11,593 or 33 percent of those sales coming from Volvo’s niche model, which is primarily sold to people living in the suburbs of the Nordic countries (Denmark, Finland, Iceland, Sweden and Norway) and the northeastern part of the United States.